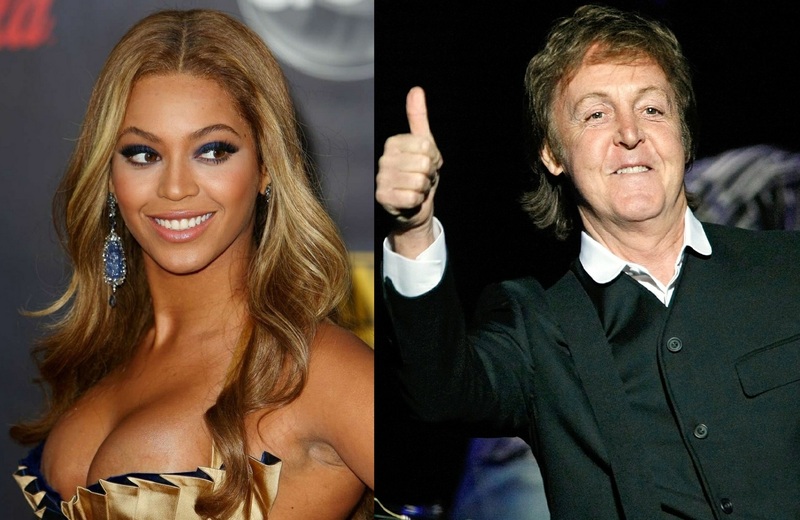 Beyonce & Paul McCartney are Pilates buddies! It doesn’t get any more celebrity than this, Beyoncé and Sir Paul McCartney doing Pilates together! So back to Beyoncé and Sir Paul McCartney. The two music legends were staying in the same hotel, the Four Seasons, during the Coachella Music and Arts Festival in California. The famous pair were seen going through their paces at an LA gym, according to the UK press. It’s reported that they hit the treadmills and after some cardio, Macca, 71, and Beyonce, 32, did some Pilates before heading off for a run. Celebrity gossip aside, this Pilates pairing shows the world exactly how great Pilates can be. Yes, men and women do it! Yes, old and young do it! Yes, you can do Pilates with a friend because it can be done at many different levels as it is possible to modify the movements to make them appropriate for all levels of ability. It is clear to the world what amazing condition Beyoncé is in, and it is a good job Sir Paul is staying in good physical shape at his age after he added six more dates to the North American leg of his Out There Tour. Celebrities, love them or hate them, they do sometimes show the world the possibilities when it comes to using Pilates. For that, I thank them.